Cowon Plenue D review | What Hi-Fi? Imagine if someone asked you to cook them dinner, write a poem, paint a portrait and dribble a basketball all at once. Unless you’re some sort of artistic/athletic polymath you’re probably going to have some difficulty. Undoubtably you’d do a better job if you could focus on just one task at a time. Sonically speaking, that’s exactly what we expect of our smartphones. They’re web-browsing, tweet-posting, call-making, music-playing machines and they’re expected to do everything well. That's the benefit of a dedicated portable music player: it’s designed solely for the purposes of playing music, and consequently has a head-start, in terms of performance, over your smartphone. 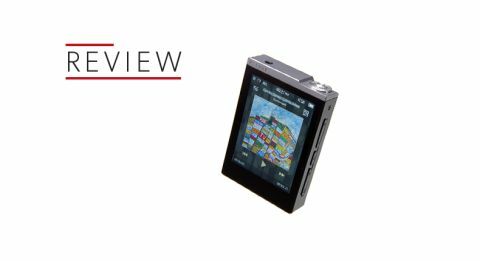 While it’s sometimes easy to see (or, more correctly, hear) the logic of high-price portable players, more affordable alternatives have a harder task. They need to be significantly better than your phone without costing too much, and be compact enough that you don’t mind carrying an extra piece of music-playing kit around along with your phone. That’s why something like the Cowon Plenue D is so refreshing. It’s compact, relatively inexpensive and its sound quality immediately justifies its price. The Plenue D is a few centimetres shorter and a little deeper than an iPhone 8. It weighs 94g, and its aluminium body looks sleek and feels comfortable in the hand. So far, so good. On its left side is a slot for a microSD card (up to 128GB), and on the right are conventional playback controls. You can transfer music to its 32GB internal memory via the microUSB slot in the bottom. The Plenue D is capable of handling files up to 24bit/192kHz in FLAC, AIFF, ALAC, WAV, WMA and MP3 formats - and once loaded up, navigating its menus is relatively straightforward. The Plenue D has a touchscreen, which we find easier than navigational buttons. It sorts your music into common categories such as genre, artist and year, as well as having a ‘Folders’ option showing music specifically on the internal or external memory. Cowon has loaded the Plenue D with 'Jet Effect 5' and 'BBE+' sound processing modes. These exciting-sounding options bring with them a range of audio presets, from the more traditional (Rock, Classic, Pop, etc) to the more, um, extravagant (including ‘Feel the Wind’, ‘Mild Shore’ and ‘X-Bass’). To our ears, some of these sound a little over the top. Rock makes your music sound more dynamic and punchy, but also a little harsher, while others are even less obvious value - ‘Reverb Stadium’, for example, adds an artificial echo that’s initially diverting but definitely impedes sound quality. The ‘MP Enhance Restore’ setting, which Cowon says will “enhance the harmonics lost through compression” can make lower-quality audio sound a little fuller. However, Cowon itself warns that you may hear some distortion when using JetEffect settings, and that using them on hi-res files might slow down the player’s operating speed. Ultimately, we’d recommend trying them out for yourself and then never using them again. You should have ample time to play, though. Cowon claims that the Plenue D has 100 hours of battery life when playing MP3s, and 51 hours for hi-res lossless files (depending on the volume you play them at, of course). Starting with a 24bit/192kHz recording of Mozart’s Sequentia: Lacrimosa (as performed by Karl Böhm, the Konzertvereinigung Wiener Staatsopernchor and the Wiener Philharmoniker) we’re pleased to report the Plenue D conveys it with delicacy and sophistication. The dynamic rise in the choral singing is smooth and well handled, and each Latin line has a well-defined beginning and end. You can hear detailed vibrato in the strings - the minor variance in the notes grants an extra layer of insight to the music that other similarly priced players have trouble picking up on. Changing to something more upbeat, a 24bit/96kHz version of Michael Jackson’s Don't Stop 'Til You Get Enough, the Plenue D has no trouble with the King of Pop’s ecstatic high-pitched scream at the beginning of the track, nor does it struggle to keep pace with the drums moving rapidly across the sound field. The Plenue D has a solid control of its tonal balance too. Big bass drums don’t overpower the vocal, the treble can soar without feeling strained or harsh – the Plenue D is an even-handed performer. Give it something more demanding, such as the earth-shaking basslines of Muse’s Supermassive Black Hole (24bit/96kHz), and the Plenue D pumps them through with a tight grip that conveys every impact without compromising on the layers of sound. This is a song that needs good organisational ability to separate one disparate element from another while maintaining a cohesive and coherent sound. Happily, the Plenue D manages nicely - and there’s enough space between instruments to make out the texture of each. The midrange is clear and detailed too. We play a 24bit/192kHz file of American Idiot by Green Day, and Billie Joe Armstrong’s superior snarl as he sings of the paranoia of the people comes across clearly. Compared to the sound quality you might get from even the best smartphones, there’s more detail and nuance. Certainly, the Cowon Plenue D is a player worth its salt. It can handle a range of files, has an open and insightful sound quality, and is easy to use. Those looking for a simple, realtively low-cost, pocket-sized player should definitely give this a go.